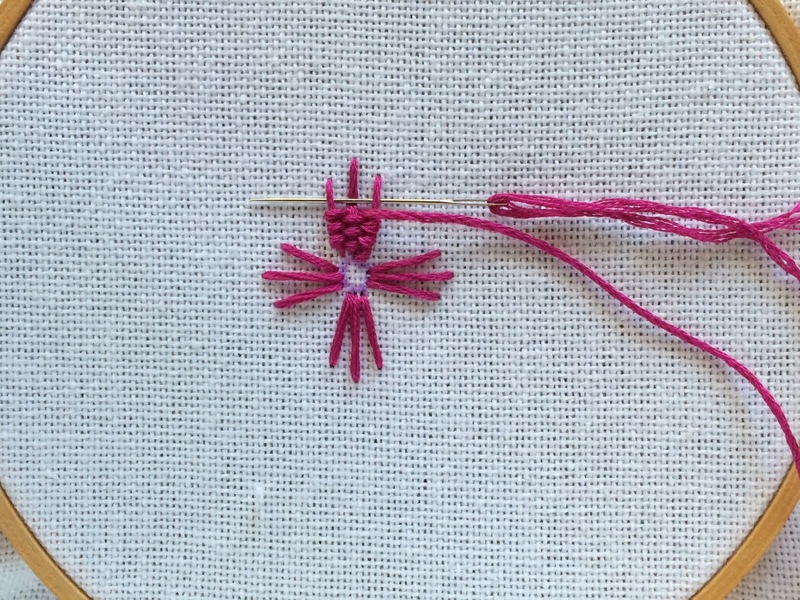 Since my last post of the whipped wheel stitch, I started looking for other stitches that involved whipping or weaving and I came across the woven trellis stitch. I have also been trying to stitch more flowers. 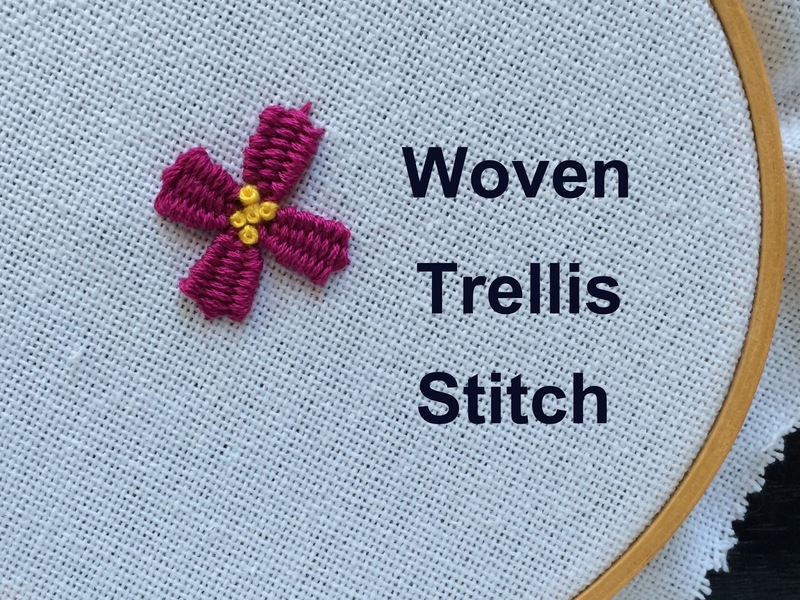 When I saw that the woven trellis stitch can be worked as a flower, I decided it would be my next stitch to tackle. First - I drew a small circle and stitched 4 sections each with 3 straight stitches around the circle. These are the base of each flower petal and woven trellis stitch. 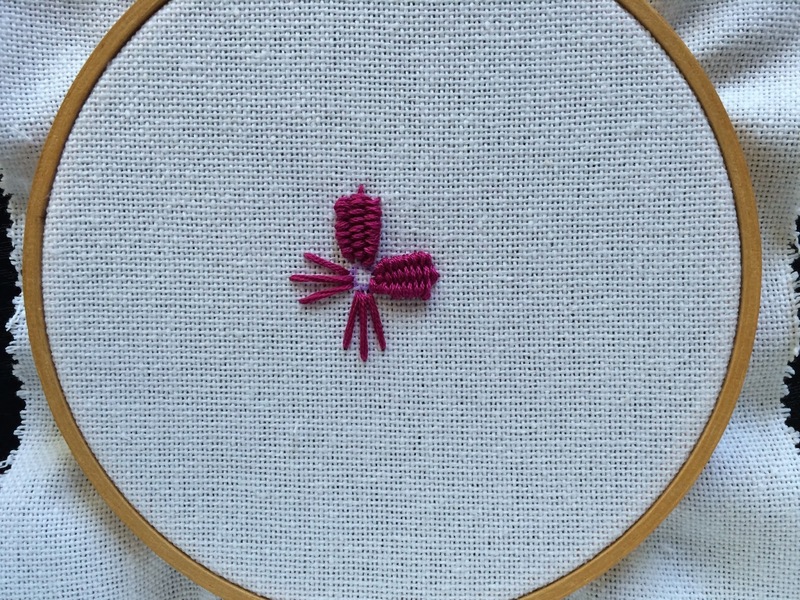 Come up through the fabric under the center of the first section of straight stitches and weave your needle under the two outer stitches. It would be best to use a blunt tapestry needle for this. Next, weave back the other way - this time with the needle under the middle straight stitch only and pull the thread through. Continue weaving back and forth following the same method of alternating under the outer stitches and then under the middle stitch. Here is the first petal complete! I filled the center of the flower with 5 yellow french knots - using 3 strands of floss. Added a couple fly stitches as leaves to finish! I love this stitch! 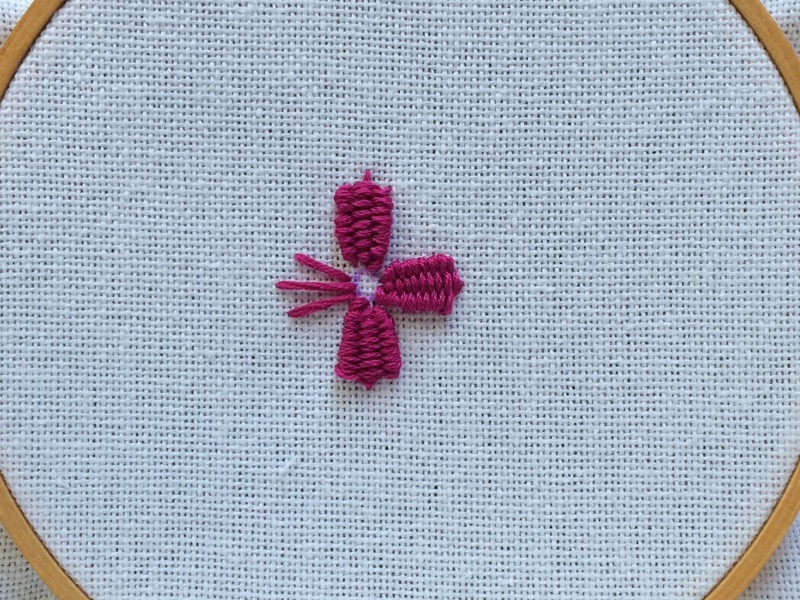 It's so easy and gives great texture to your embroidery. 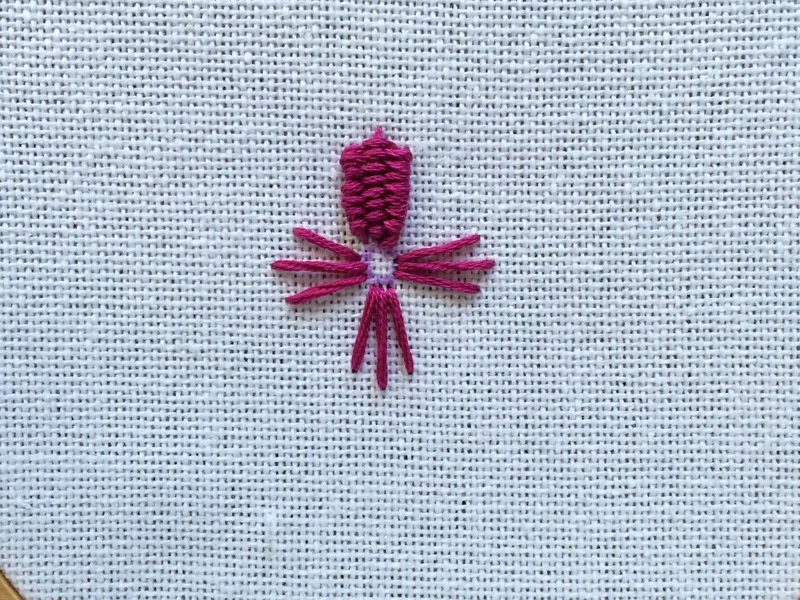 Try it out and post any of your photos in the Feeling Stitchy Flickr Group.